TTRO has strategically partnered with other innovative companies to bring you the best comprehensive EdTech solutions for your organisation. Read more about the other cool kids below. Kalleo People Group is a dynamic group of companies with an exciting range of products and solutions that serves Human Capital development. Kalleo collaborates with your organisation to design, develop and implement the best possible solutions for developing and managing your most valuable asset, YOUR PEOPLE. Fuzzy Logic create games that are simple to use, whilst also cutting edge in functionality, appearance and design. We’re registered Apple, Android and Nintendo developers, though being an inquisitive bunch we’re always fiddling around with new platforms, including Oculus Rift and Microsoft HoloLens. ACI is an independent corporate advisory boutique with an entrepreneurial approach to African M&A.ACI was established to capitalise and contribute on the emergence of the African consumer class driven by strong economic growth, demographic trends and urbanisation. Our team is made up of industry professionals who understand local markets and have backgrounds in private equity, corporate finance, M&A, strategic advisory and portfolio management. 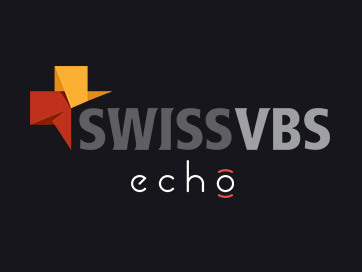 Meet ECHO – SwissVBS’s multiyear award-winning microlearning platform designed to improve retention, change behavior and maximize the return on your learning investment. Through daily practices, bite-size content and learning games, ECHO closes the learning-performance gap for the modern learner. They certainly live up to their name – they’re smart and creative… even with their spelling. Basically, they will accurately diagnose your productivity situations, identify solutions and perform the correct actions to help you maximise efficiency and outcomes. We love them, and we have learnt to never doubt them. Evva! Visit Clevva. A household name in the E-learning Industry! Trusted by 60,000+ organizations worldwide, Articulate software, services, community, and content make it easy to create compelling courses for every device. Our mission at Udemy for Business is to help employees around the world do whatever comes next. Through our powerful content marketplace, employees always get the most up-to-date, relevant, and engaging content taught by the world’s leading experts. From development and IT to leadership, marketing, data science, design and much more, Udemy is where employees and companies choose to learn.